Jackie Greco and Laurie Sherman enjoy a picnic on the grass at the Horticultural Center in Fairmount Park. "This is awesome, it's so kid-friendly, they can run around and feel like they're outside. So its perfect," said Greco. 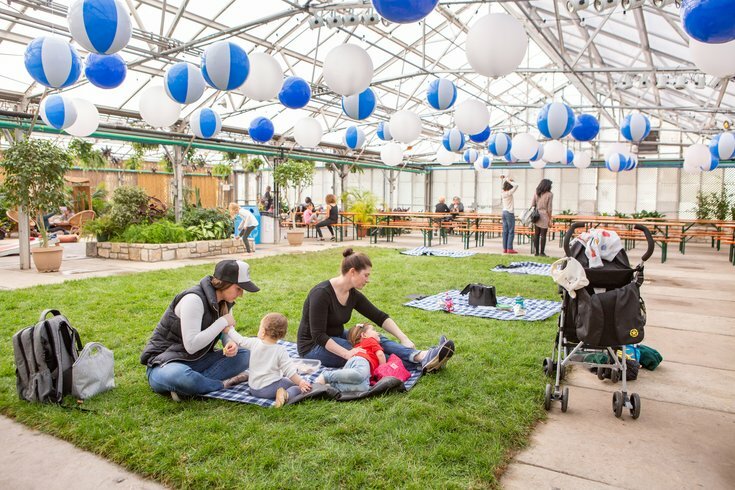 If you're looking to get out of the house this February and into a warm, green environment with the kids - or without -the Philadelphia Parks & Recreation, Fairmount Park Conservancy and Constellation Culinary Group has created just the place for you. 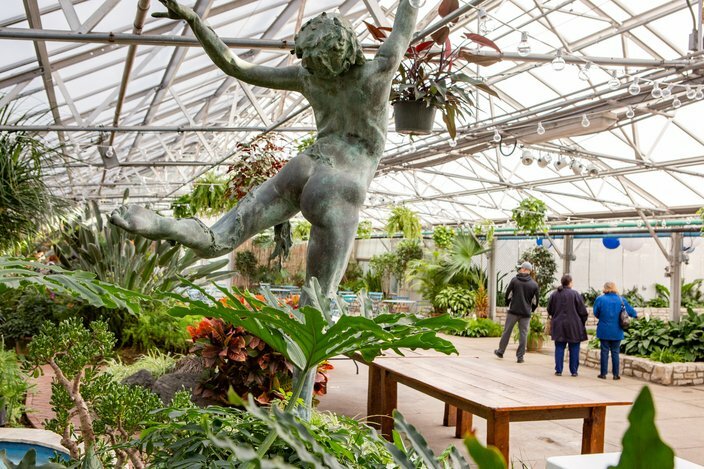 For one week this February, the 20,000 square-foot greenhouse at the Horticultural Center, 100 N. Horticultural Dr., has been transformed into an indoor oasis. The space features many different themed "rooms," where you can relax. 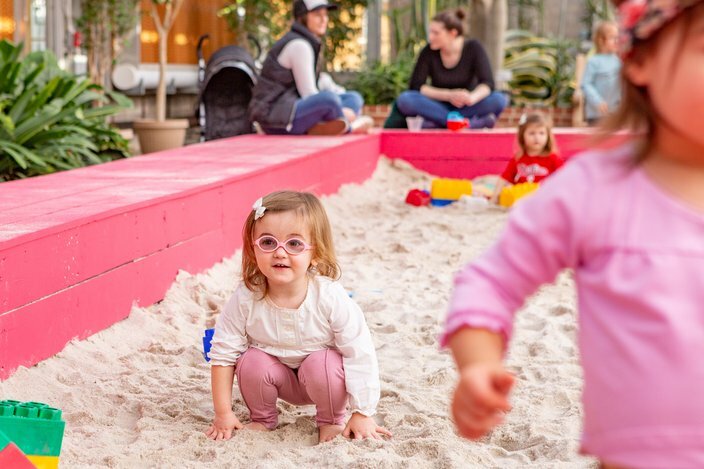 The spaces range from a giant beach-themed sandbox, a grass-covered lawn complete with checkered picnic blankets, a Moroccan-themed lounge area as well as certain day and night activities with live animals, food trucks, music and even a cash bar. The space is open from Saturday, Feb. 2, through Sunday, Feb. 10. More information about attending is available here. Here are some photos of the space. Caroline Grace Ashurst, right, daughter Mina, and friend Alison Hilley with her newborn came to enjoy the “Getaway at the Greenhouse,” Monday, Feb. 4, 2019. “It's an oasis for big people and little people, in addition to being a really comfortable environment for moms with newborns,” said Ashurst. 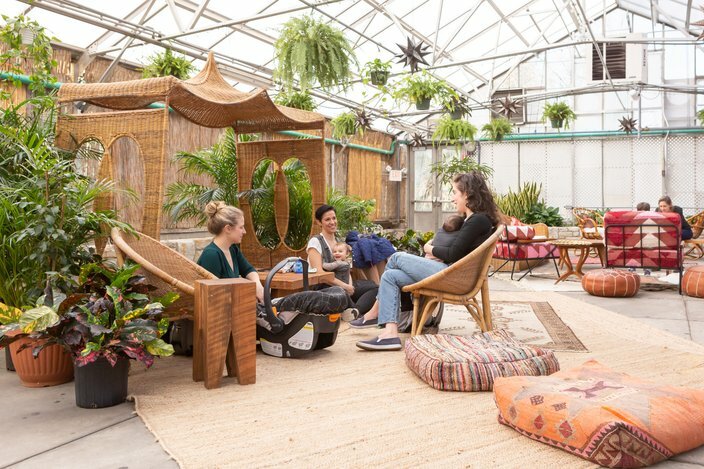 The 20,000 square-foot greenhouse is split into rooms with different environments, with a giant indoor sandbox, a relaxing Moroccan-themed lounge as well as grassy lawn area for picnicking. 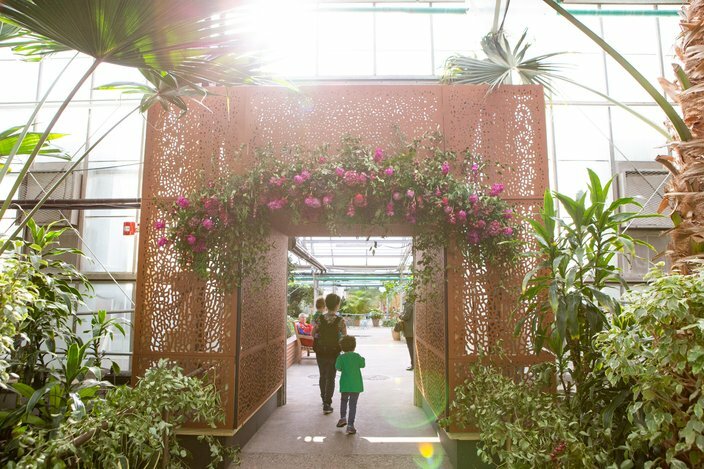 Rachel Utain-Evans and her two sons enter Getaway at the Greenhouse, at the Fairmount Park's Horticultural Center, Monday, Feb. 4, 2019. Whitney Simone, Kate Canino and Anna Fischman, left to right, enjoy the warm environment to relax with their kids. “It's great to be around greenery while sitting in a t-shirt,” said Canino. “There's really a lack of indoor places to bring kids in the winter, so this is great,” said Simone. 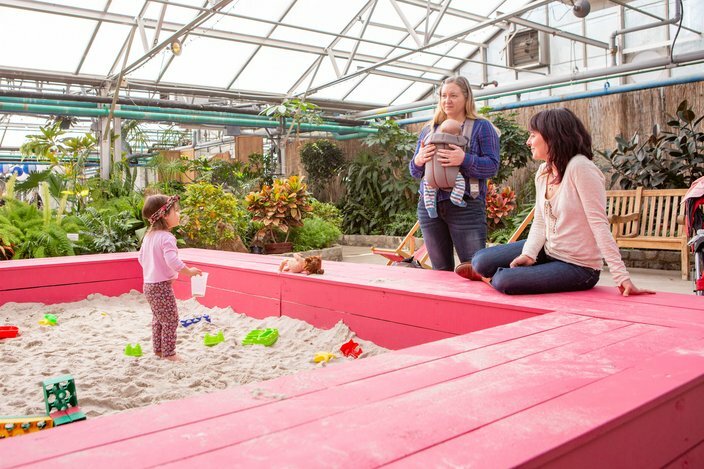 Nica plays in the giant sandbox at the “Getaway at the Greenhouse.” This feature was big hit with kids and parents that attended.